Bali island has become very congested with people. A population of more, then the problem will be more and more. Not only in terms of quantity, but also other related issues. Bali is now a lot has changed, even change very quickly. Bali is now very different from the past. Bali is now more sad and terrible. Bali island past is a very peaceful, quiet, comfortable place to live. Bali currently has a lot of very serious problems. Not only for the islands and lands that are part of this nature, also for the people who live and lived on the island of Bali. The problem in a sustainable manner without any serious response. Environmental issues, health, social, cultural, political and severely damaging the harmony of life of people in Bali. The problems are most noticeable and worrying for the island and the people who live on this island. Narcotics, the spread of HIV / AIDS, rabies virus epidemics, environmental pollution, uncontrolled population, and the destruction of nature. 1. 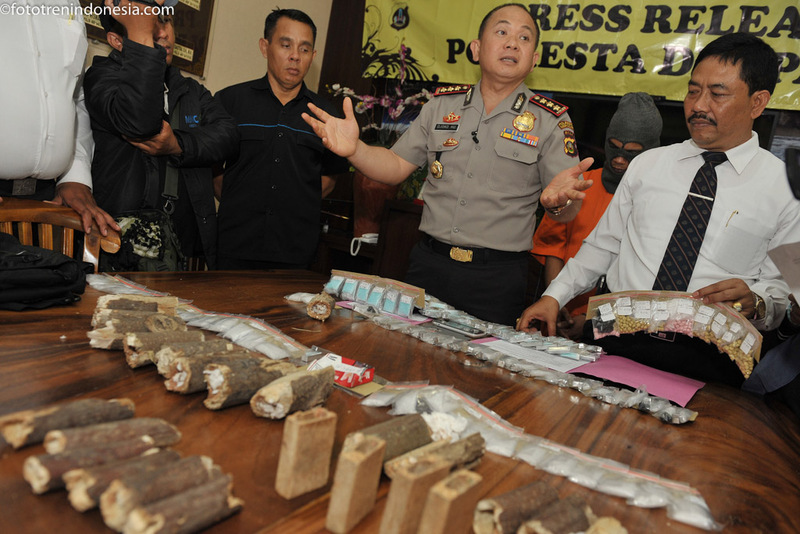 Narcotics Trafficking in Bali. Bali is an island tourist destinations by people of every kind of state. Various nightclubs have been built. Discotheques, night clubs, cafes, and other entertainment venues. Places it into a gathering place and fun for people who want entertainment and forget about everyday problems when he traveled in Bali. However nightclubs has become a dangerous area for the younger generation of the Balinese. Because the nightlife scene is now being circulated and traded various kinds of drugs. Narcotics trafficking in nightclubs and also in crowded places in Bali is no longer a secret. Narcotics can be very easy in Bali. Narcotics in Bali not only sold by dealers in secret and closed. Ironically, the drug is also sold by motorcycle taxi drivers, taxi drivers, sellers of cigarettes on the roadside. As narcotics are ordinary objects that can be obtained easily without legal restrictions. Conditions that make Bali as the best-selling drug trafficking and trafficking. Bali became the main destination island in Indonesia drug trade. Many cases have been uncovered by the police. There are also many drug dealers who had been imprisoned and sentenced to death. However, Bali still remains the island with drug trafficking cases and the largest circulation. Impact, many young people who have been addicted to narcotics Bali. There are many young people of Bali who died using drugs. Bali as a tourist destination island, making it a great opportunity for anyone to get a job and money. The island of Bali is the place to visit different kinds of people with different needs. So many people who come from outside Bali for any work to earn money, without skills, without capital, without trying. One of the most promising job but very dirty is as prostitutes. Many women from outside Bali came and worked as a prostitute in Bali. The reason, they want to get dollars from foreign tourists. They sell their bodies to foreigners in the hope of getting money. Similarly even what the local women and girls who become prostitutes because tempted to earn money in an easy way. But prostitution has a very big risk. Transmission of HIV / AIDS is one of the most deadly risk if work as a prostitute. Beginning of HIV / AIDS cases found in Bali is a traveler from the Netherlands in 1980s. Since then Bali is the island that is very vulnerable to the spread of HIV / AIDS. Ironically, the services of prostitutes is not only enjoyed by foreign tourists, as well as by local people. Local people who contracted HIV from prostitutes, will transmit it to others, transmit to their wives or lovers. Persistent until now there are many new cases of people infected with HIV. It is sad and worrying for the future generations of Bali. Rabies in Bali has become an epidemic that is very large and spread out in all regions of Bali. All districts in Bali has been a regional spread of rabies virus. Rabies in Bali taken by the dog. Because the Balinese are very familiar and a culture with having a dog. Dogs in Bali has been since time immemorial become pets. Every cheap in Bali have a dog as a guard house. Even in any ceremonies in Bali, the dog has also become one of the offerings. Rabies in Bali is transmitted between dogs. Mostly transmitted by stray dogs. Stray dogs transmit to dogs, so the faster spread. Cases of human deaths from rabies in Bali is very much. Year 2008 is the highest peak of the epidemic of rabies in Bali, hundreds of cases of deaths from rabies have occurred in Bali. 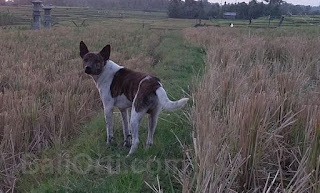 Various handling and action has been done by the government, but the human deaths from dog bites in Bali were infected with the rabies virus is constantly happening today. Bali has now become slums and densely populated island. The more people, the more waste is generated. Ironically, garbage and waste in Bali is not handled properly. A lot of garbage and sewage discharged into the river. It seems clear that the rivers in Bali filled with garbage. Also the color black as the waste water discharged into the river. Nature in Bali has been damaged. Forests, rivers, seas, and productive rice fields have been damaged. Environmental damage caused by the act of the people living near the damaged natural. Residents of Bali is increasingly greedy. Forest converted into agricultural land. Illegal logging, timber theft in the forest, indiscriminate waste disposal, illegal mines. Degraded forest in Bali caused by illegal logging affects an increasingly receding river. The rivers in Bali is increasingly worrisome. Water discharge continues to decrease each year. During the dry season the river becomes dry. Drinking water is increasingly difficult to obtain. Not only the destruction of forests in mountain areas, as well as forests in coastal areas in Bali. The mangrove forests are now much damaged. Mangrove forest area is converted into a hospitality and tourism areas. The mangrove coastal protection from abrasion threat now many have been damaged. Mangrove changed menjad artificial tourist area and damage the coast.